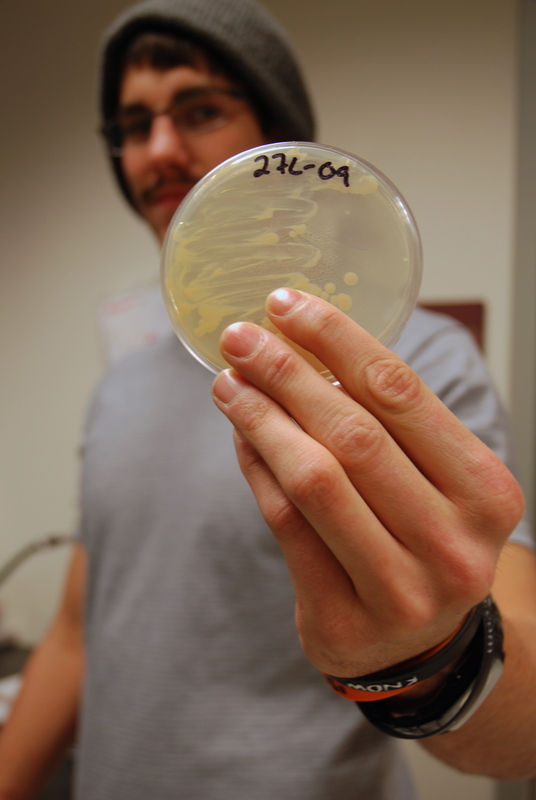 Drees showing the colonies of Staph on Isolate 27L-09. The numbers “27” meaning the 27 person tested, “L” standing for the “left nostril” was tested, and “09” signifying the year the swab was taken. All of the staphylococcus aureus was collected from volunteers nostrils over a few years span.